In addition to the robust and industrial design, the Tolix chair has a stylish backrest that guarantees comfort. 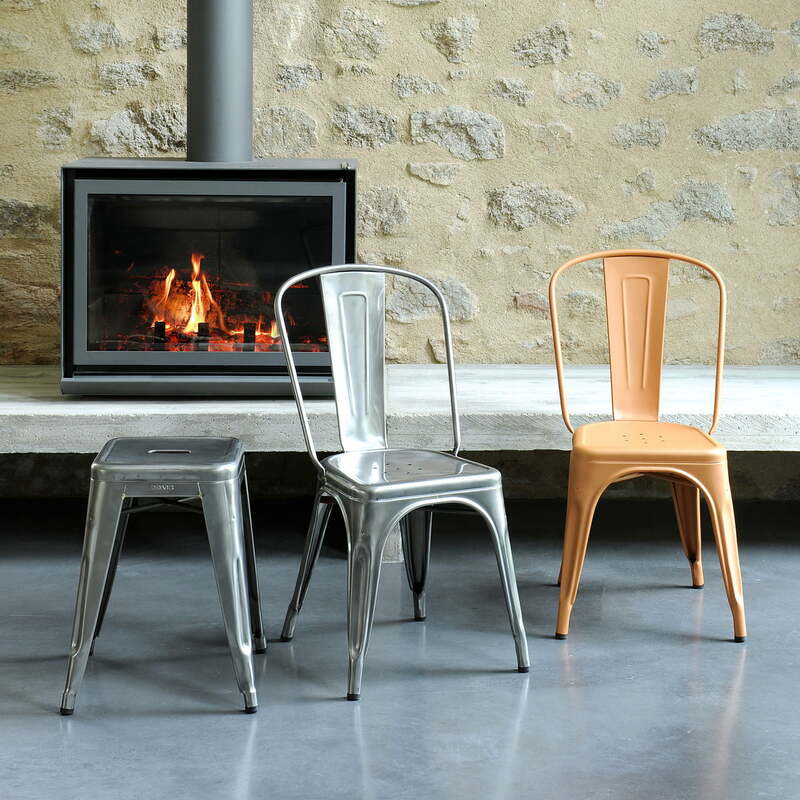 The light metal chair is easy to stack and can be stored in a space saving way if necessary. 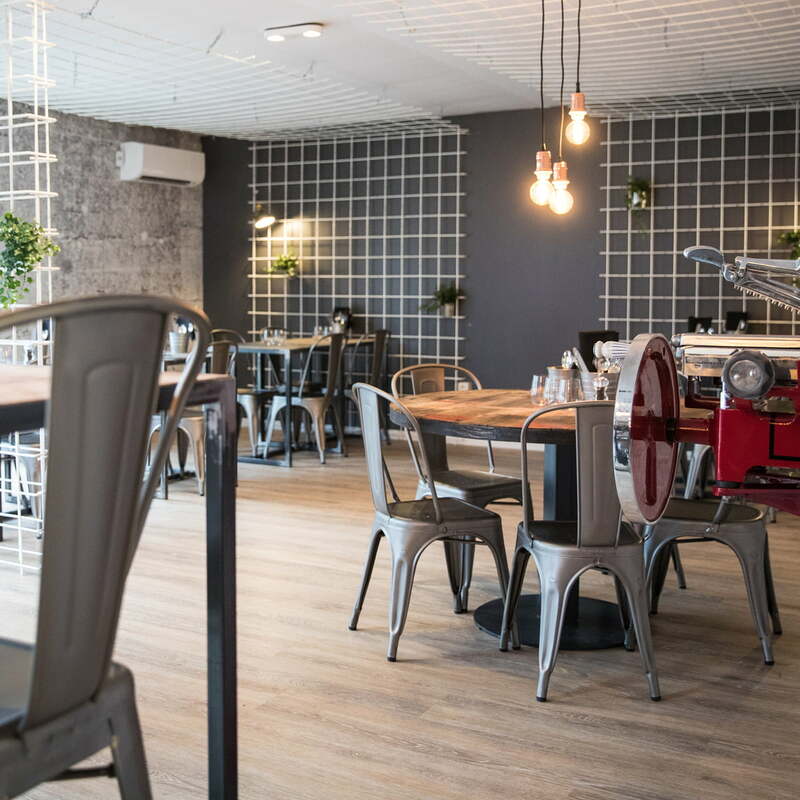 Both the rustic steel version and the colourful statement piece introduce introduce an industrial charm into the living room as well as in cafés. 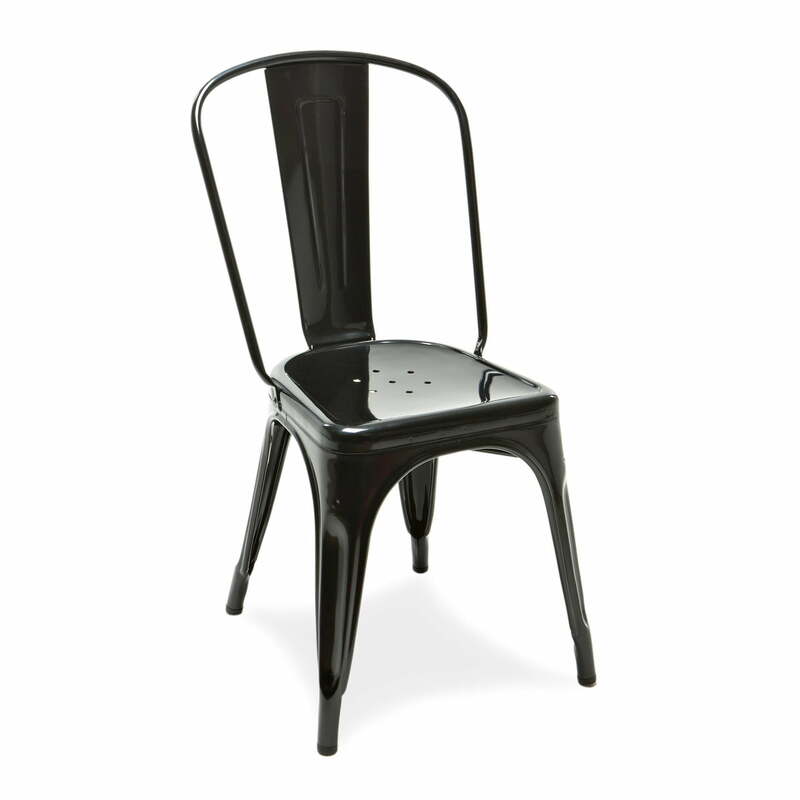 Isolated product image of the A Chair by Tolix in glossy black. It is produced in France and is put together, painted and finally checked all by hand. Isolated product image of the A Chair by Tolix in mat paprika red. The combination of thick and thin lines and open spaces makes the Chair unique and surprisingly comfortably. 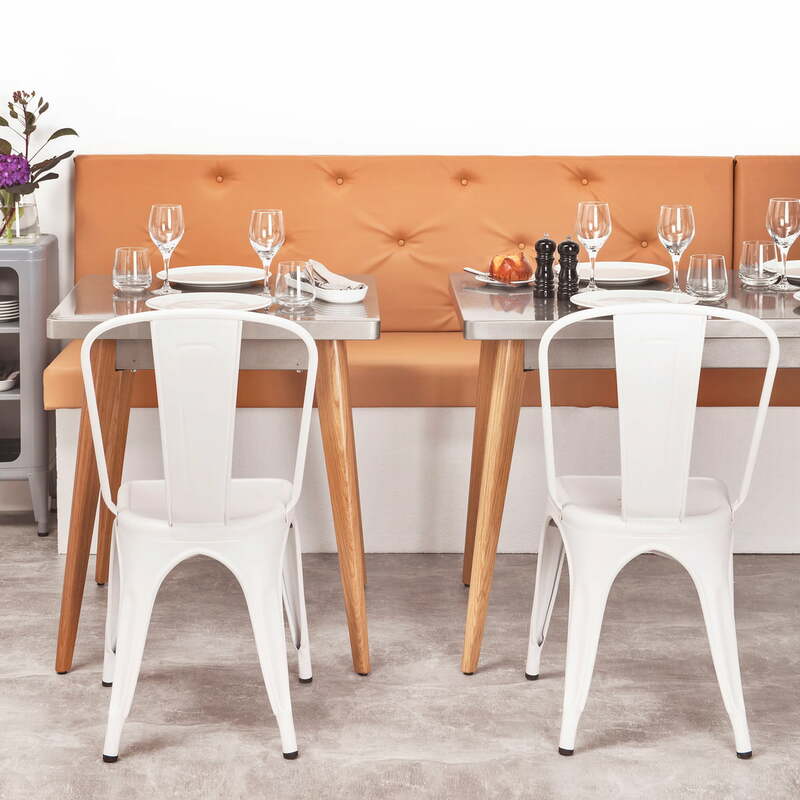 Lifestyle product image of the white laquered A Chairs Indoor by Tolix. The white lacquered A Chair by Tolix adds a special freshness and lightness to the room. 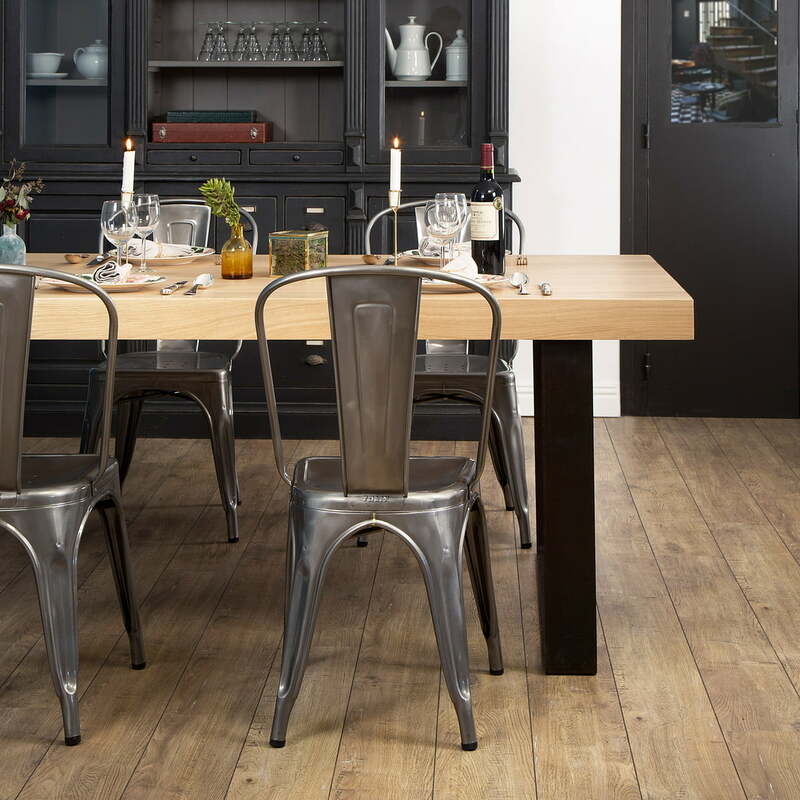 Lifestyle product image of the A Chair Indoor by Tolix. 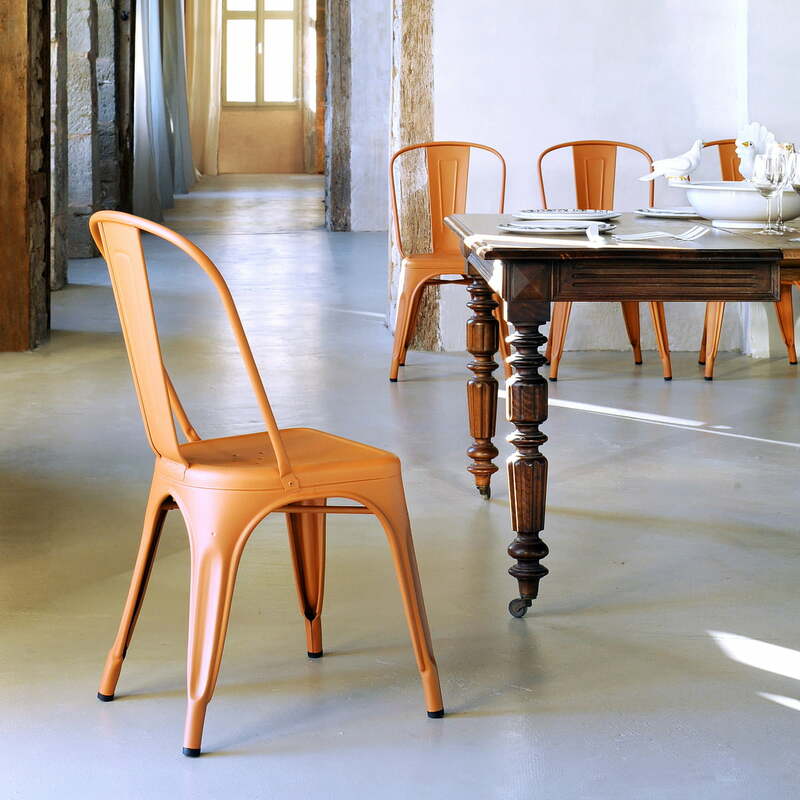 The chair by Xavier Pauchard is so timeless that it can also be introduced into less modern facilities. Lifestyle product image of the A Chair Indoor by Tolix. 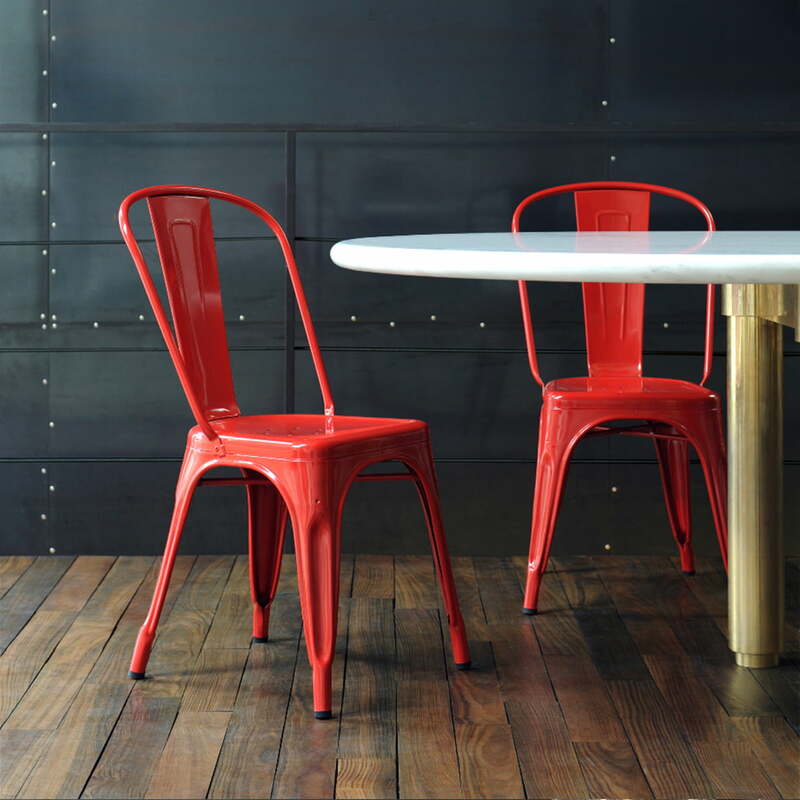 The iconic Chair becomes the absolute eye-catcher in any environment, especially in the paprika red version. 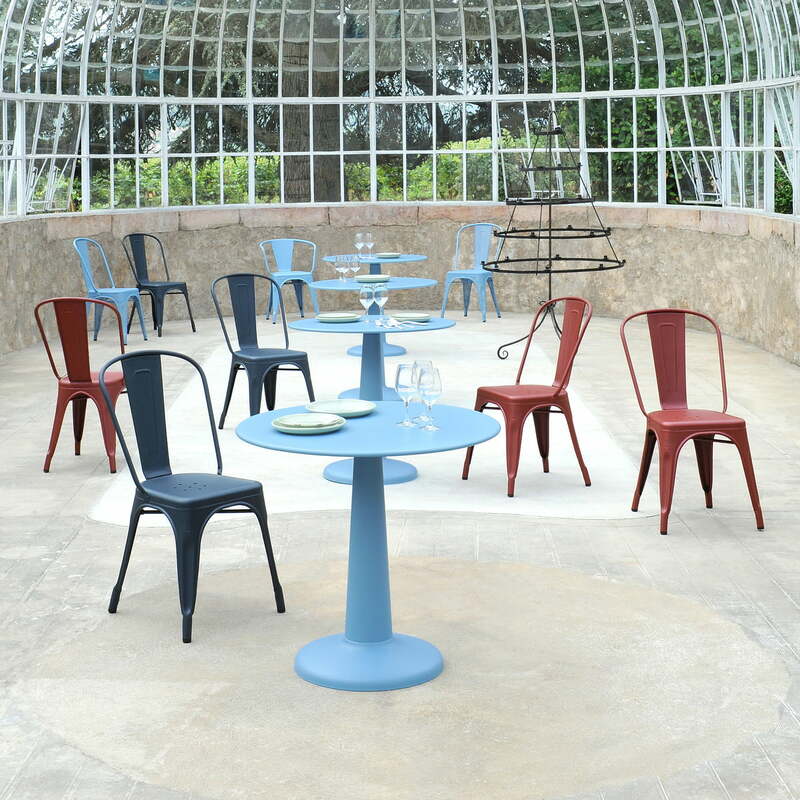 Lifestyle product image: The A Chair by Tolix is available in various colours and in two different versions for indoor and outdoor use depending on the needs.